As long as nations rely on computer networks as a foundation for military and economic power, and as long as such computer networks are accessible from the outside, they are at risk. Hackers can steal information, issue phony commands to information systems (causing them to malfunction) and inject phony information (leading people and machines to reach false conclusions and make bad (or no) decisions). System vulnerabilities persist largely because of the gap between defensive theory and common practice. 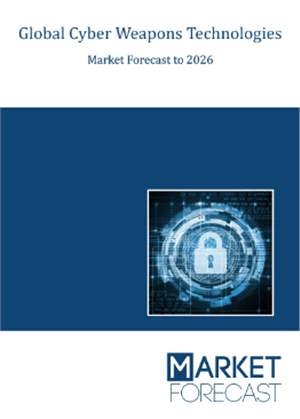 This new report examines, analyzes and predicts the evolution of technologies, markets and outlays (expenditures) for offensive and defensive Cyber Weapons until 2026, starting from 2016. The report also examines each of these markets geographically, focusing on the top 95% of global markets (United States, Europe and Asia). 1.4. Who Will Benefit from this Forecast? 4.1. What are Cyber Weapons?